Polish technology minister Jadwiga Emilewicz is keen to persuade Israeli entrepreneurs to establish R&D centers in Poland. Last week, at the height of the public storm over the Polish law banning holding Poland responsible for the murder of Jews on its territory during the Holocaust, a delegation of 100 Polish businesspeople visited Israel to promote business cooperation between the two countries. The delegation was headed by Polish Minister of Entrepreneurship and Technology Jadwiga Emilewicz and Polish Investment and Trade Agency executive VP Wojciech Fedko. The main event in which the delegation took part was an economic forum in Tel Aviv in which 200 Israeli businesspeople and companies participated. 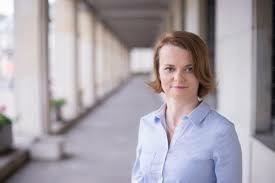 Emilewicz is actually the first ever minister of entrepreneurship and technology in a Polish government. The ministry she heads was created last year by the Polish prime minister, spun off from the Ministry of Investment and Economic Development. from the Israelis. “Poland is a big market of 38 million people,” she says, “but for that reason, it is hard for the small and medium-sized Polish entrepreneurs on whom Polish development is based to think globally. For them, it is enough to offer services to a third or a quarter of the Polish market.” This is one of the reasons that she believes that it was important to hold the conference and hold meetings between companies from the two countries: “The Polish entrepreneurs can learn from the Israeli market about exports and global thinking,” she says, adding that they can also study innovation. “Today, even though our growth is very rapid (GDP is growing at 5% annually and we’re in second place after Romania among the developing countries in the European Union), we’re still copying things that already exist, not innovating,” Emilewicz laments. Talking to delegation reveals that high-tech labor in Poland is cheaper than in countries like France, Germany, and of course Israel, although more expensive than it was 10-20 years ago. 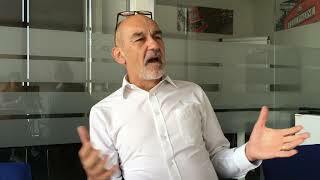 “The cost of employees for companies is half of the cost in Israel,” says Council of the Polish-Israeli Chamber of Commerce president Elroy Knebel. “Furthermore, the personnel are topnotch: the rate of higher education is among the highest in the world.” They add that Polish programmers are in first place in Europe and third place worldwide after China and Russia in the Hacker Rank ratings. Emilewicz holds forth on a few of the benefits that Poland offers, and emphasizes that many of them are relevant to Israeli companies: “We have established special economic zones in Poland in which tax benefits are granted to someone wanting to found a company in the country. We assist in the entire decision-making process, including location and localization of products. We’re not trying to found the companies; we’re trying be an entrepreneurial country, understand which sector will be especially promising, and invest in it. Knebel agrees: “More and more companies are making successful use of the benefits that the Polish government offers. The procedure for obtaining a grant in Poland is fast for Israeli investors. It only takes a few days to found a Polish company, after which a business plan has to be presented and a suitable team of Poles with Israelis selected. Preparing the application takes 4-8 weeks and the decision is made within three months.” What Knebel says indicates that Emilewicz, whose ministry’s goals include simplifying complicated laws and making things easier for entrepreneurs, is succeeding. What influence are Israelis who have immigrated to Poland having on the local startups? “There are a number of IT companies composed of Poles and Israelis that are among the most successful in Poland. Israelis bring a different way of thinking and openness to the global market.” Emilewicz mentions Remotr, a gaming startup (or RemoteMyApp), as an example of successful Polish-Israeli cooperation. What other Israeli companies are cooperating with Polish companies? “Three months ago, Israel Electric Corporation met with four companies owned by the Polish government that provide services to the public. One of them was interested in cybersecurity solutions and in cooperation in that field. The Polish mining company has also established a branch in Israel with a local partner and wants to develop smart mining technology for mining minerals. A lot of Israeli cyber companies have come to my ministry looking to find partners in the Polish market.